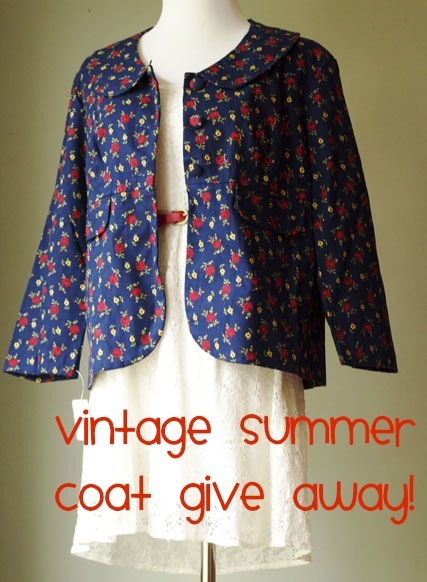 In honor of my 100th post on the blog I am giving away this lovely three quarter length jacket. The main reason I chose this garment to give away is because my readers have confided in me their love for peter pan collars, some of them even match my own yearning! 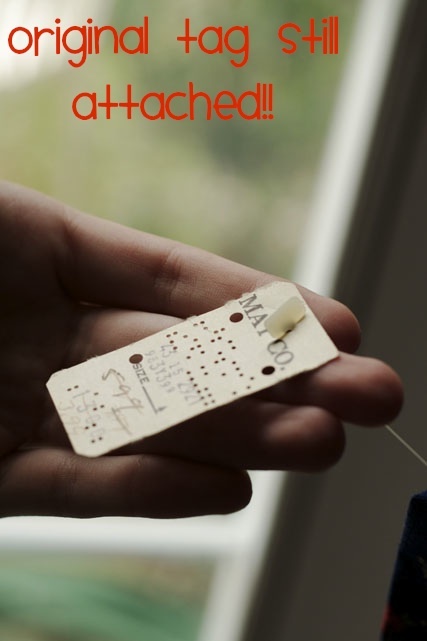 To win this garment is very simple! Leave a way to contact you back, or your comment won't count. Tell me what you would wear with it if you were the winner! This give away is open to all my followers, no matter location, and you must enter by August 14, 2011. No later than 8:00 pm EST. Good luck everyone! The winner will be chosen by a random number generator on the 14th. my name is lizette vigo and i follow you through blogspot on "www.theblucurtain.blogspot.com" does it count? 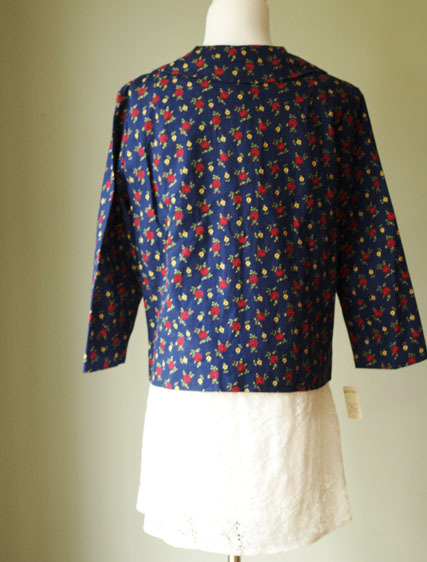 And I would wear this lovely coat with my lace shorts and light pink blouse!! What a darling, darling dress! 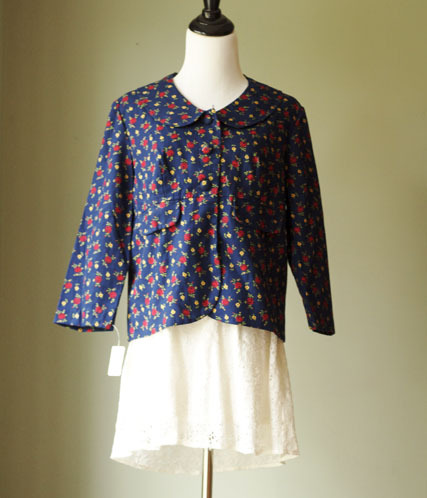 The print and peter pan collar are just magnifcent! This coat is adorable. I need it to complete my summer mood. I would wear this with a short black/navy dress with and my platform sandals. I follow you through blog lovin'. 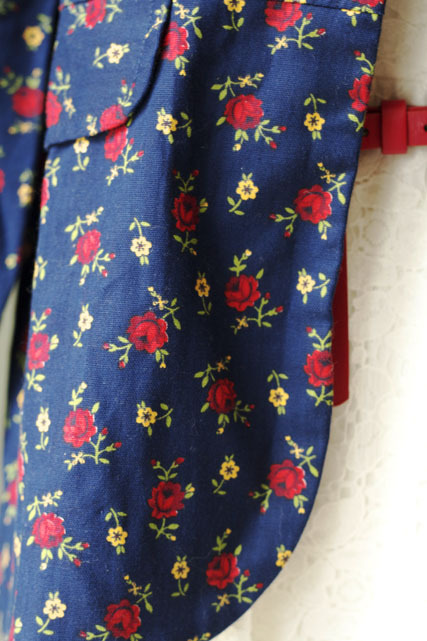 I'd wear it with a floral tank I have and a fluffy yellow skirt with wedges or red Toms! Thanks for the giveaway! Oh it's adorable! I would wear it with the cream-colored lace dress I just bought a couple weeks ago. Such a gorgeous coat! I am an avid follower and I actually just opened up my old blogger account so I could post a comment. I'd wear this with a navy pencil skirt that is almost the exact shade of what this looks like or a red sweetheart dress with my red flats from Urban Outfitters. I would wear this coat with a pair of trousers I just made that are tight all the way down and dark with stars all over them, with the cuffs rolled up. I would wear my brown brogue style shoes from Italy and a white sleeveless shirt. My hair is red and I would pin it to one side. That is such a cute coat... my birthday is really soon... what a fantastic present it would be! To be a bit different, I would wear this with my new high waisted dark green cords, brown leather brogues, my white vintage short sleeve blouse and some red lipstick! It's beautiful! I have a white lacy dress almost exactly like that. And my new black oxfords. 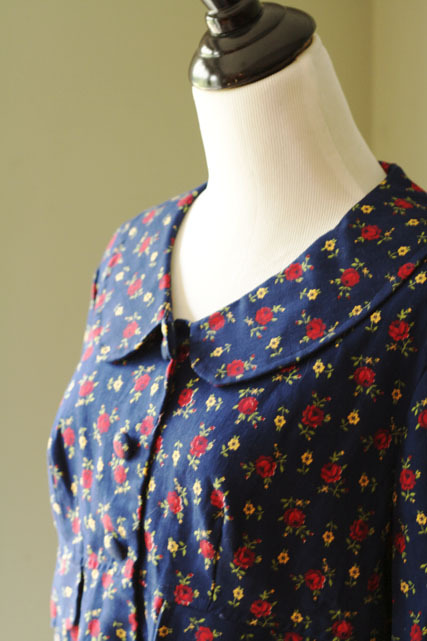 I don't yet own anything with a Peter Pan collar, but I love them so. Hello There! Who doesn't love Peter Pan collars? This is so fab, and I would wear it with a high-waisted, long black skirt, some lime socks, black flats, and a yellow cami. I would love for you to just have a look at my blog and tell me what you think! Your blog is an inspiration for me! Oh wow, this jacket is too cute!!! I would wear it paired with skinny jeans, a simple tank and my mustard purse, or my white flowy summer dress and blue wedges. I would keep it casual and wear it with a lace top, skinny jeans, and ballet flats. I love that coat! Its hard to decide what i would wear with it, maybe a pair of skinny jeans and a red or yellow tank top. I'm more of the simple dresser, or maybe i'm just to shy to wear bold things. This is so cute! Thanks for the giveaway! I would wear it with a yellow tank top and my pair of tan high-waisted trouser shorts and a red belt. I follow via google and my email is ashlynm188 at gmail.com.